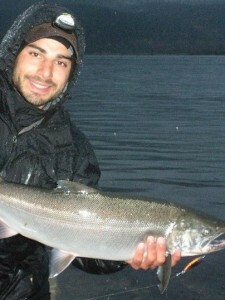 ← Northern BC River Fishing for Rainbow Trout & Giant Bulls! When we first got here you didn’t even need a lot of gear – you could catch them with spinning gear and spoons! But over the last couple of weeks the Coho fishing has slowed a bit and it’s been pretty tough to get them on spoons, but people are still catching a few fish on them. The last two times I went out, I hooked into 2 nice chromers but lost them both. 🙁 Hopefully I get another crack at it before it dies right off. Oh well, and even if I don’t I’ve already had a bunch of great days on the water so I really can’t ask for anything more! 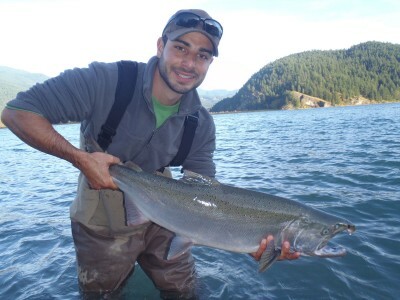 This entry was posted in Fishing Reports, River Run Salmon Fishing and tagged Coho Salmon Fishing, Drift Fishing, Float Fishing, Harrison River, River Fishing, Spoon Fishing. Bookmark the permalink.